Lights, Lamps and Chandeliers ooze out the style factor in any home decor. 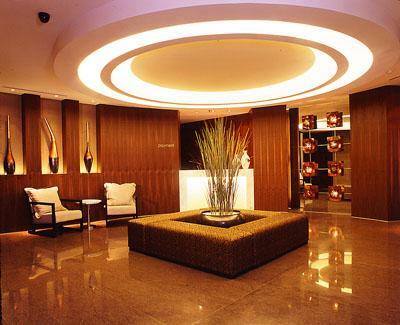 Accent lighting gives texture, focus and shape to general lighting, adding depth and shade to the décor. It constitutes a mixture of halogen spotlights, downlighters, uplighters, tracks and table lamps. Task lighting is what you need to do a specific job. Whether it is reading, working at a computer, cooking, drawing or sewing. It needs to be focused on the area that you are using. Natural light can do so much to lighten up your home and interiors. It lends brightness, freshness and above all a sense of cheer to your spaces. There are ways aplenty to maximize the light coming in. For instance, if you are an avid paint lover, keep plant growth outside windows and in terrace gardens under check, as they can have a dark, dampening effect indoors. Ensure that you trim overgrown plants, hedges and shrubs. Get some lovely lace or sheers instead of the everyday heavy drapes. They are light, dry easily and let in a lot of light indoors. Another interesting idea would be to install skylights. Nothing works better than a few strategically installed skylights to let your space bathe in natural light all day long. White and light colored drapes bring in loads of natural light. Install skylights to maximize the effect. They don’t just say ‘Live life king size’ for nothing. A look that is as dramatic as it is over the top, requires loads of thought and, if put together using the right elements, can end up lending a royal touch to your house. Attention to detail is a must, right from lighting, furnishings and accent pieces to wall textures. 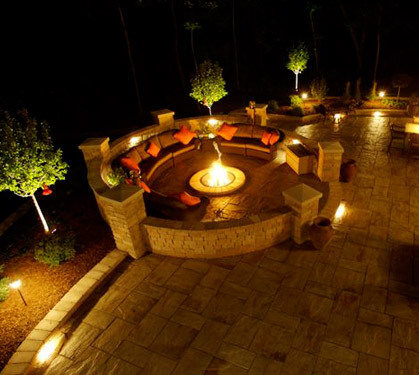 Lighting plays an important part in creating the right ambience for your settings. Give it some thought and make an informed choice. Use lots of drapes and layer the fabric to heighten the drama. Opt for exquisitely patterned ceiling lamps to lend an imperial aura to your ambience. This is perfect when entertaining. Metallic color schemes give the place an instant royal makeover. The richness and largeness of the setting can be accentuated with linen to match the mood. Pick out accessories that add dimensions to the setting – velvet, crystal and silverware are good options. Hit the places you trust for good quality. If its spring make the most of it; And what better way to celebrate the lovely weather, than unwinding with friends and family over tea parties and picnics. If you want to jazz up your outdoors, go for dark, all-weather outdoor furniture in cane or plastic. They are easy to maintain, and also look classy against a verdant backdrop. Now, all you need are some colorful embellishments. Throw around a few colorful and bright cushions for more comfort while you are seated. A matching outdoor rug looks cozy and will add loads of flavor to your setting. String fairy lights for decorative appeal in the evenings. 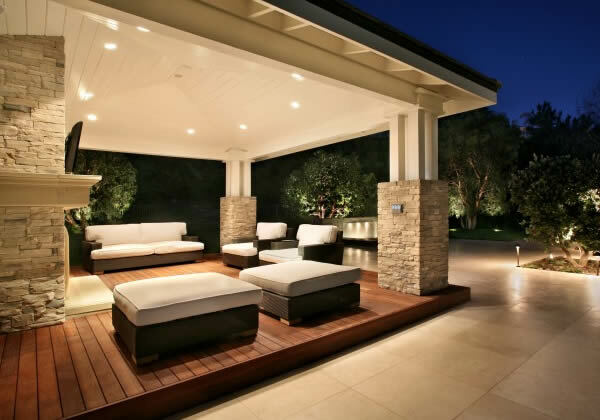 Lanterns and lamps will add to the ambience for parties after sun-down. Whatever the design element, make sure it suits the mood and your personal style. You could use an interesting table runner and complement the look with a bunch of pretty florals in a little jug. If you like some shade, use an umbrella or canopy to shield your guests from the heat.